I made this sashiko stitched needle book as a present back in August. At the time, I was thinking a lot about how to use more of my fabric scraps. This preoccupation was inspired in part by the conversation about sustainability on the Love to Sew podcast. 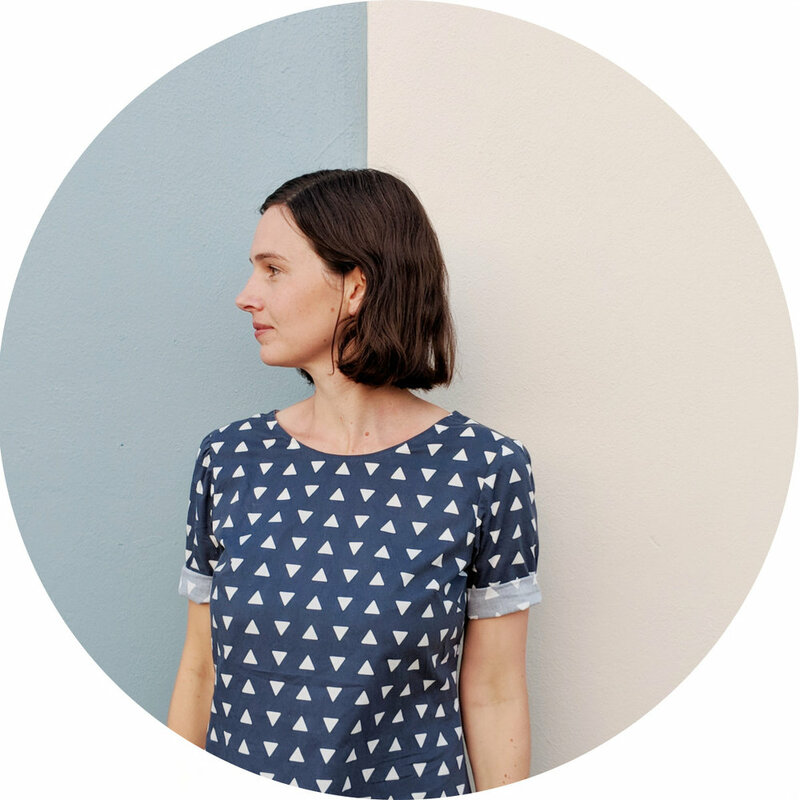 If you haven’t already discovered Love to Sew, I highly recommend giving it a go - particularly episode 35 and episode 42 about sewing and sustainability. There a so many wonderful ideas in these two episode, I found them really inspiring. For this project, I used leftover fabric from the Akita Tee I made in July - as well as some other materials I had in my stash. Making a gift out of my fabric scraps felt great. Not only was I creating something special for a friend, I was using materials that otherwise might have ended up in the bin. Moreover, creating something myself meant I didn’t have to go out and purchase something new to give away. Now I’ve got around to writing a post about this project I wish I’d taken better photos! Oh well, taking good blog post is still something I’m learning to do. Although I had never done sashiko stitching before, this was a relatively easy make. I’m planning on making myself a similar needle book with some scraps from an upcoming projects. I’m also contemplating creating a pattern for this project. If you would be interested in trying this pattern, please let me know!